If i add a single texture as a Displacement texture on Cycles, how can i modify? i had been trying with Mix but i don't get the right number, or maybe is the wrong option? 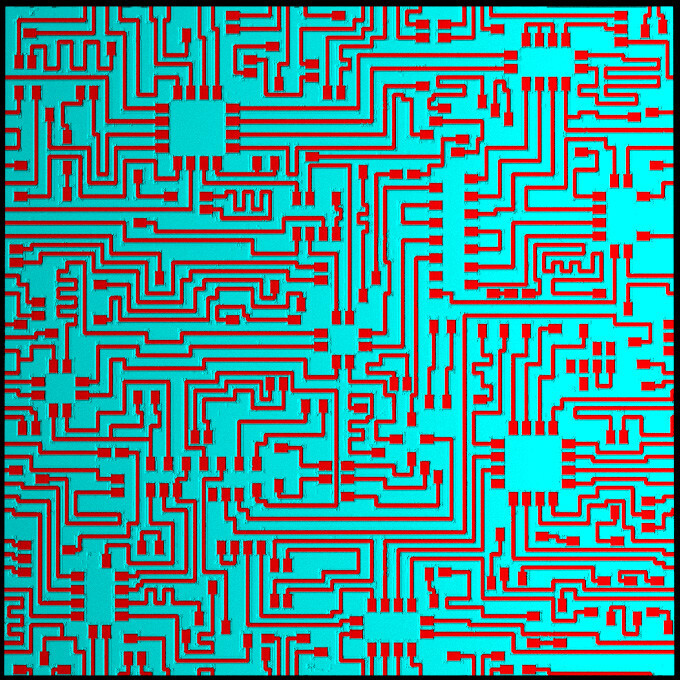 Displacement expects a number, not a color. 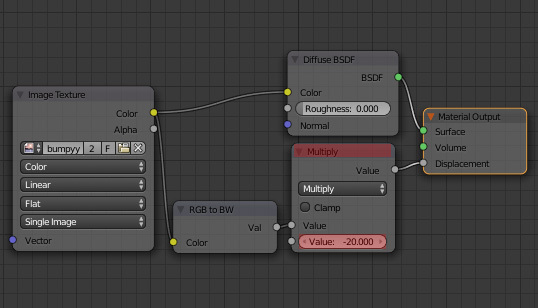 You can see that because the displacement's input is grey whereas a color-value is marked as yellow in the Node Tree. 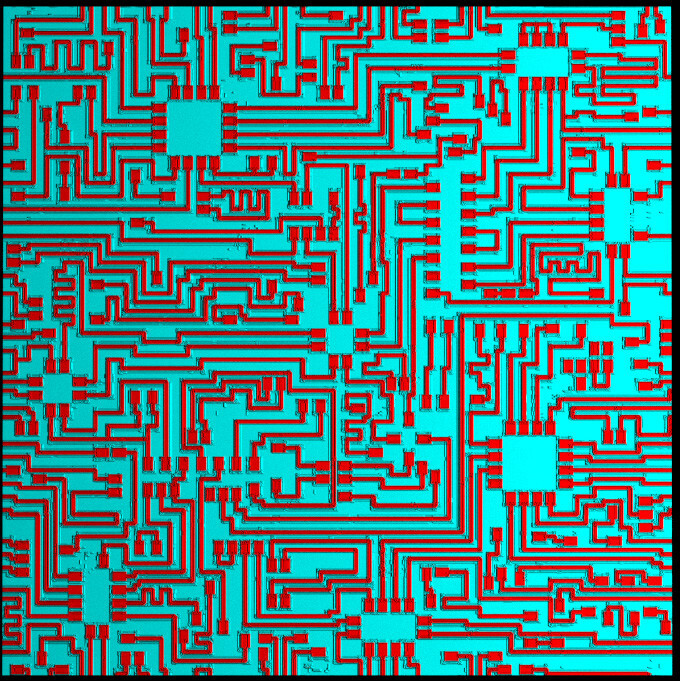 So you normally convert the color to a value via a RBG to BW Node. You then can use Math nodes to freely manipulate the value until it fits your needs. In your case I would use a Multiply and then play with the factor a bit until satisfied. I've used a Voronoi Texture as a stand-in for whatever texture you want to use, so you can just swap that out. 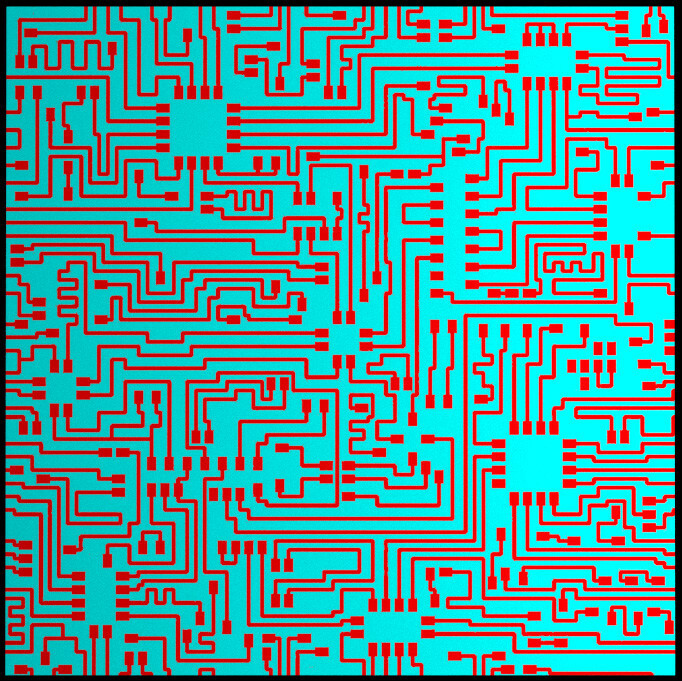 Note: I've heard that this conversion is done automatically when you connect a color-output to an value-input. Apparently this won't lead to any problems, so you can leave out the RGB to BW node and just connect the color output to the Math input (thanks @TARDIS Maker). You can use the same image texture as a color and bump maps at the same time. I'll show you how it works using the image below. Set up the nodes as pictured below. 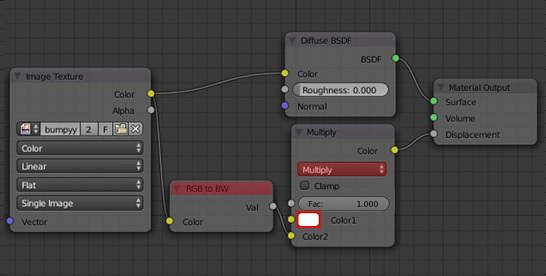 Add a RGB to B&W node (Add-->Converter-->RGB to B&W). It will turn your color texture to a B&W so you may use it for bumps. To control the bumpiness size just add a Mix RGB node, set its type to Multiply and the color to white (if you're using a lower socket) or black (if you're using a upper socket). Change the Factor to control the bump size. 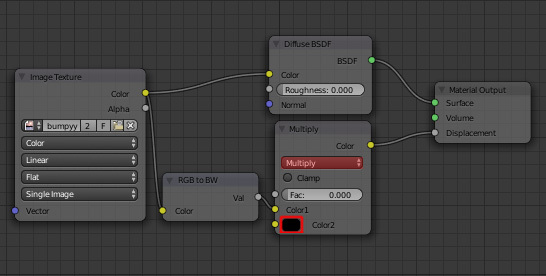 Instead of adding the Mix RGB node you may add a Math node (Add-->Converter-->Math). Set its type to Multiply as well and play with the Value slider. There is also the other way. Add a Bump node (Add-->Vector-->Bump) and set it up as pictured below. Increase the Strenght to make the bumpiness bigger. Not the answer you're looking for? Browse other questions tagged cycles texturing materials nodes or ask your own question. How can i make a Bump/setoff accurate to its own texture map? 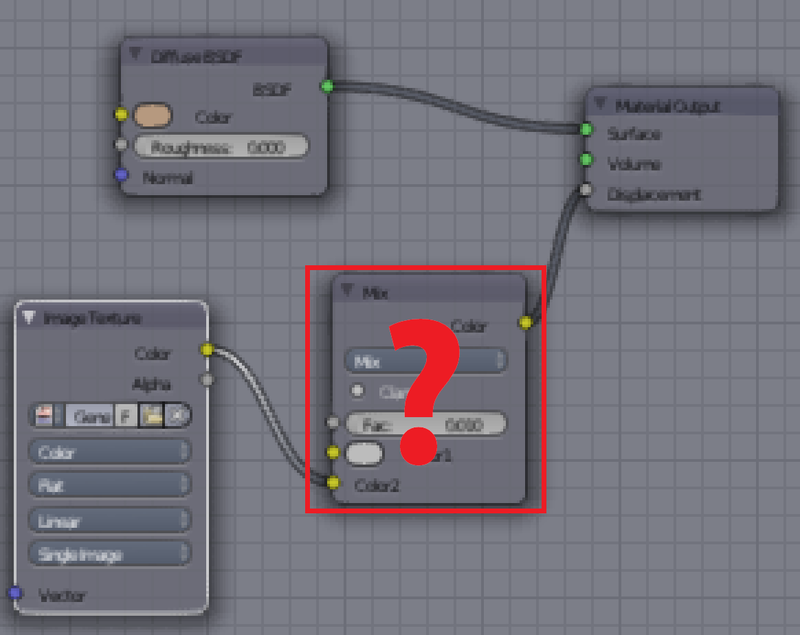 How can I blend two textures together using Cycles? how to mix procedural textures for a natural waves of sand displacement effect?